"Owls Personal Checks" product is already in your cart. Get close to nature with Owls Personal Checks featuring four owl species with their beautiful big eyes and ear tufts. Owls sometimes are symbols of wisdom, magic, and perception or intuition. On the opposite side, some use owls as symbols of death, darkness, and deception since they are night flyers and people have an innate fear of the dark. Other mythologies combine the light and dark aspects of owl symbolism, using the owl as a symbol of death and renewal which is the cycle of life. 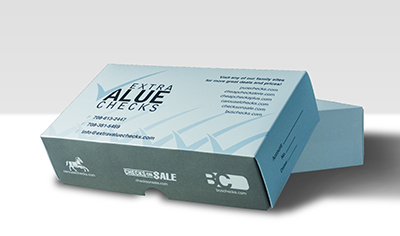 Owls Personal Checks are available in single and duplicate check format. Matching address labels and a coordinating checkbook cover are also available.